It’s rather challenging to write with a degree of certainty about a discipline that you have practiced and taught for a little over two decades. Writing a comprehensive essay on a discipline often induces a sense of vagueness and a feeling of vertigo, as if you are falling backwards, with nothing to hold on to. This feeling creates a mental discomfort that I must say, is not very easy to deal with. You feel like losing comprehension, losing your grasp over the discipline that you seemingly were so certain about. The simplest of questions like “what is architecture?” can completely throw you off balance, especially if asked at a moment where you are least expecting it and not prepared to come up with a satisfying answer. One can always start with inquiring the context and the relevance as an answer to such a question, but the fact remains that it would not help lessen the awkwardness of the situation in which an apparently basic question is pointed at you; with an eager audience anticipating a precise answer, that is supposed to sum up the entire discipline in a few words. I have, for the reasons mentioned above, always tried to avoid such situations, though, rather unsuccessfully and usually find myself struggling not to end up quoting something clichéd like form follows function and other similar catchphrases. Similarly, Doctors just like architects, very often find themselves in similar situations in which they avoid prescribing medicines that are common household names, regardless of their effectiveness in treating a certain ailment. This is out of the fear that the prescription might fail in satisfying the patient. In the discipline of architecture, the pressure to come up with fresh perspectives almost every time comes from an academic environment where complexity is in vogue and the audience expects a novel viewpoint each time. Therefore, the high demand to be complex, or rather, more complicated and confusing in one’s arguments surprisingly receives more appreciation from the audience. With a bit of practice and experience, one is able to achieve this level of confusion with relative ease, ensuring a certain degree of success in academia. I find quotes, especially architectural quotes to be the ultimate embodiment of what I have discussed above. I find them to be precise and vague at the same time, mostly without a context, therefore confusing and misleading, yet confident in their tone and expression. Architectural quotes are blindingly comprehensive as they seem to sum up the entire discipline in few words of wisdom. One liner quotes are generally immortalised, golden words that every architect or an educated person is expected to learn, remember and reproduce when the need arises. Students of architecture are expected to have a thorough knowledge of these quotes as an integral part of their learning and training. I find it most problematic when these quotes are used in theory and criticism as a validating and supporting argument. They seem to serve best in creating a populist appeal of the discipline with their superficial simplicity and apparent comprehensiveness. On the other hand, I am more interested in learning what the experts from other disciplines think about architecture, what kind of opinion they hold about this discipline. 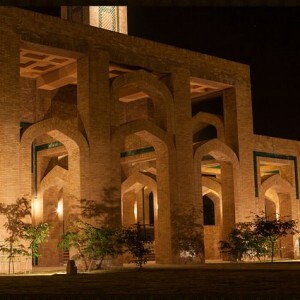 Academically, it’s well known that in all creative disciplines including architecture, the interdisciplinary approach is considered the most relevant in the post-modern environment. It would be refreshing to look at architecture from a different perspective; after all, most revolutionary architectural ideas that led to a paradigm shift in architecture were introduced and practiced by non-architects. Take for example Joseph Paxton, a gardener who eventually designed the controversial Crystal Palace in London in the 1851. Gustave Eiffel, who designed and built the Eiffel Tower in Paris in 1889, was a civil engineer. Sir Richard Buckminster Fuller, inventor of the Geodesic structure was also a civil engineer. Le Corbusier, Tadao Ando, Frank Lloyd Wright, Mies Van Der Rohe, Louis Barragan and the Italian maestro Carlo Scarpa did not receive any formal education in architecture; and all of them were self-taught architects. 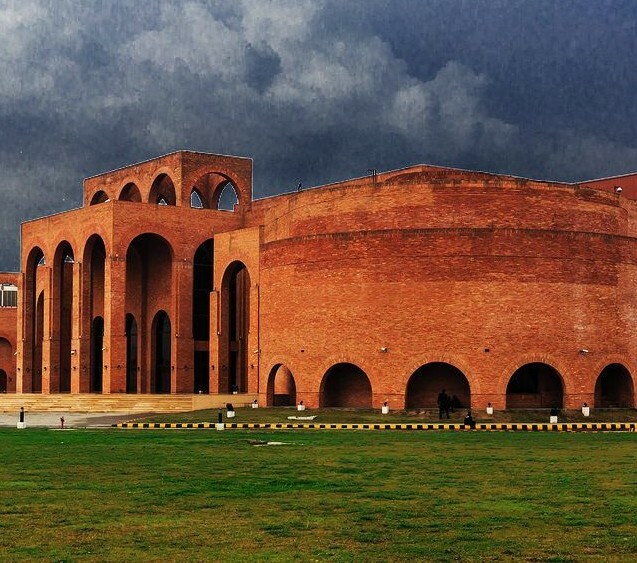 Our very own Pakistani masters; Kamil Khan Mumtaz, Nayyar Ali Dada and Javed Najam are examples of the interdisciplinary approach to architecture. All three of them were painters before they moved to architecture. Their art background and their friendship with artists and writers proved to be the very bedrock of their understanding and approach to the discipline and shaped their architectural sensibilities. We also have examples of formally trained architects who later on pursued careers in literature, eventually becoming accomplished writers. We have numerous examples from the pre-modern era, but for the sake of relevance to the present times, we can look at examples from the 20th Century. John Ruskin of the Arts & Crafts movement emphasised on restoring faith and human values in the newly industrialised modern society that he considered to be soulless. John Hejduk chose poetic idiom for the expression of his ideas which mostly comprised of spatial connotations with strong atmospherics. Lebbeus Woods expressed his politically driven ideas of architecture and revolution through poetic prose. From the Subcontinent there is Arundhati Roy with her strong political ideas expressed through a style of writing that is centred on architectural and spatial atmospherics. Gautam Bhatia’s books are based on a sharp critique of cultural aesthetics related to architecture, especially in his seminal work Punjabi Baroque. It might be really interesting to look at architecture from the perspective of those who have little or no connection to the discipline. The most intriguing outlook would be from those who belong to a creative discipline other than the visual arts. In my view, literature is an altogether different level of abstraction that very often draws from the visual realm but embodies completely different sensibilities in its medium and expression. Writers often seek inspiration form the tangible environment; however, their medium of expression is intangible, unlike architecture that is more about the tangible built environment in its ultimate expression. The relationship and exchange between the disciplines of architecture and literature is by no means a new idea, though it’s generally considered a novelty. The atmospherics in literature set the tone and environment for a literary expression; these spatial atmospherics are sometimes surreal and depict the mental spaces of the writer but very often draw upon the tangible built environment. Writers have looked for such artistic inspiration in gardens, public places and in architectural spaces that surround them and provide them with a setting and context for their comprehension of human existence. It is generally a capturing moment of inspiration that ceases the writer’s imagination. It could be an aesthetic sight, a thing of beauty, an unforgettable experience that becomes immortalised in their poetic expression and reveals the sublime in nature and architecture. In the poetic expression, the spaces in a city transform into places having an identity and a collective memory. Through mental maps, the poetic psychogeography starts shaping the cultural geography that gives the city its identity. People do relate to their city, it serves as a source of inspiration and provides them with a sense of belonging and identity. They have a special association with certain places in the city that they feel connected to, because these places make an integral part of their lived experience in their personal as well as collective memory. The British American modernist poet W. H. Auden called it ‘Topophilia’ or ‘Love of place’. The American modernist poet Ezra Pound who spent most part of his creatively productive life in England and Italy coined a new method in poetry called ‘Imagism’ that captures moments of artistic inspiration in short poetic verses. For him these were experiences that could only be felt and cannot be explained. The Italian writer Italo Calvino’s popular book ‘Invisible Cities’ presents an interesting example of how the identity of historic cities is founded upon multiple layers of collective memory, myths and legends. This identity and sense of place is more fictional than factual and it makes a city transcend from a collection of buildings in brick and stone to a living entity with a distinct character. John Ruskin was against the idea of architectural conservation for the very reason that it takes away the romantic charm of the ‘ruin’ that is so appealing to the artistic mind and is always a source of inspiration. Cities change with time and so does their architecture; change is in the very nature of any human society and manifests the evolving and sometimes transforming sensibilities. It is more stark and apparent when there’s a paradigm shift, for example the Industrial Revolution, the 20th century modernity and the present day information revolution and virtual reality. Writers have also captured and reflected upon this very phenomenon of change in society and the built environment. Some have despised and lamented this change as a sign of the loss of soul and morality of the traditional society that was formed on the principles of the divine and governed by high human values. On the other hand, some writers have embraced the change as a sign of a progressive society based upon the principles of equality, individualism, right to knowledge and freedom of expression. However, in today’s postmodern intellectual space, I feel that ideas and theories also come with an expiry date, posing a constant pressure for new visions and revisions. This flux of ideas creates a perplexed intellectual environment where nothing can be constant enough to serve as a footing for any stable construct. The only thing you are sure of is your vertigo.